Description : A group of graceful, spineless palms with solitary trunk or ring-like clumps. About 14 species, natives of Asiatic and Australian tropics. Grow Clean Air Benefits: All plants clean air borne toxins for us to breath in healthier oxygen, but palms (including the dypsislutescens) was named as one of the best air purifying plants, after a scientific clean air study was completed by Wolverton and NASA. This plant removes the following Volatile Organic Compounds( voc's) Formaldehyde , Xylene and Toluene. 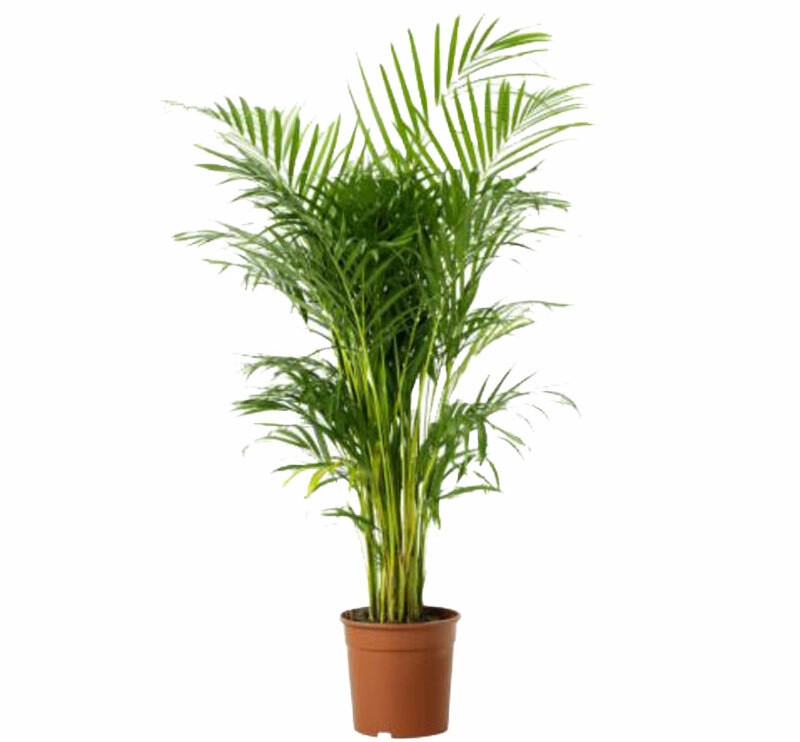 COMMON NAME: ARECA PALM. BOTANICAL NAME: ARECA CATECHU. Stem solitary, up to 25m. Leaves 1.5-2m long, forming a large crown; leaflets many, 60-80 cm long, glabrous. Spathe flattened; fruits ovoid 2-2.5 cm in diameter.